The answer is yes. And here’s how it happened. It was April 10, 1989 and early in my career. I was still a first officer at a regional airline. It was about 8 p.m. and we had just taken off from Kansas City International Airport bound for Waterloo, Iowa. It was a beautiful evening, with a full moon, clear skies and crisp early spring temperatures. The weather forecast for Waterloo was as nice, with clear skies and unlimited visibility. After a short taxi and take-off, Air Traffic Control (ATC) cleared us to our cruise altitude of 15,000 feet. We established a Northeasterly heading, pointed strait at Waterloo, about 200 miles ahead. There were thin wispy clouds all around us, illuminated by the light of the full moon that shone through the captain’s-side window at our left. Despite the presence of these clearly visible wispy clouds everywhere, we weren’t flying through any of them. There was also a white disc dimly but clearly visible through those clouds just off to our right. We flew on and I commented to Bruce, the captain, about this dimly visible disc. He said that he’d been watching the same thing since we had leveled off. It looked similar to the moon faintly visible though thin fog, except the two were visible at the same time on opposite sides of our cockpit. We looked down below for search lights, you know, the kind that’s sometimes used for aerial light displays or advertising at a car dealer, but there was no beam of light coming from the ground, no search light from an airport either. The captain and I had cumulatively spent many years flying and were accustomed to seeing — day and night — all manner of airplane, blimp, hot air balloon, satellite and bird. But neither of us had any idea what this disc could be. We spent 20 to 30 minutes at our cruise altitude, all the while staring at this white disc dimly visible through some clouds that we somehow never seemed to fly through. Within about 40 miles of Waterloo, ATC confirmed the weather, still clear skies and unrestricted visibility at our destination as we began to descend. We got busy with our flying duties and for a short while, maybe for a minute, both of us had looked away from the disc, but when I looked up at it again I saw something that has been burned into my memory. I yelled to Bruce, “Holy s–t.” He immediately looked over from what he was doing. Above the clouds, where the white disc had been, was a now giant red ball. It was big and bright and just sat there above the clouds. It wasn’t intense enough to illuminate us with a red glow but it was still plenty bright. We sat there in stunned silence. We obviously didn’t want to hit it but quickly saw that it was flying parallel to our course. We weren’t on a collision course and we also weren’t gaining on it. Time became a blur as we continued our descent, this giant, red ball holding its course. We slowly lost altitude and at around 13,000 feet, the brightly glowing ball began a gradual descent, too. As it did, it slowly started disappearing behind those wispy clouds. In about 30 seconds, like a setting sun but not nearly as bright, it vanished behind the clouds. The instant it fully disappeared, hundreds of lights began flashing from within the clouds. As I looked on in disbelief, the flashing lights were brighter than ever and I could see that the section of the cloud that the glowing red ball had descended behind was starting to stretch apart like a piece of “Silly Putty,” two halves being pulled slowly apart with the middle getting thinner and thinner. This continued until the halves grew so thin that it tore apart and, pop! Everything was gone. The dimly lit disc, the flashing lights, the thin wispy clouds that we had with us for the last 40 minutes; all of it, gone. There wasn’t a cloud in the sky. Only the full moon remained off to our left. Bruce and I just looked at each other. “Oh my God, what the f–k was that”, was all I could muster. My colleague just stared out the windscreen, mesmerized. We discussed whether we should report what we had just witnessed. After a few minutes, I picked up the radio mic and asked the Kansas City Center controller if they had anything on radar. “Nope, nothing but you,” came the response. “No, not right now but a couple minutes ago, at our one to two o’clock,” I replied. “No,” he repeated, “It’s a slow night. I’ve got the entire sector between Kansas City and Waterloo and you’re all that’s been in it for the last hour.” Bruce and I again just looked at each other, completely dumbfounded. “So for the last say 40 minutes or so you’ve had no traffic at all, not at our one or two o’clock?” I asked. “No sir, not at your one or two o’clock, not anywhere, you’re all there is,” he assured us. “Oh no, you’re not crazy at all,” he replied. “This very same thing has been reported by pilots countless times.” And while neither of us had any idea what we had saw one thing we were certain of, it wasn’t from here. Our airline had no official UFO policy (nor did any that I ever worked for), but at the time we were both young with long and promising careers in front of us. We knew through the grapevine that pilots weren’t supposed to talk about UFOs so we swore the station agent on duty to secrecy and agreed not to talk about our incident to any of our co-workers. That was more than 25 years ago. Today I’m older, wiser and at the end of my career. In my last few years of flying the subject of UFOs occasionally came up in the cockpit. If it was brought up at all, it was usually by a younger, newer first officer who’d say something with much trepidation. More than a few pilots have shared their UFO stories with me, too. I’m not going too far out on a ledge to say that virtually all pilots believe in UFOs. Little green men, “close encounters”, alien kidnappings,… not so much, but with billions of stars and trillions of planets out there, “ya gotta believe”, and almost all of us do. Andrew Danziger is a 28-year airline veteran, with experience in turboprops and Boeing aircraft. 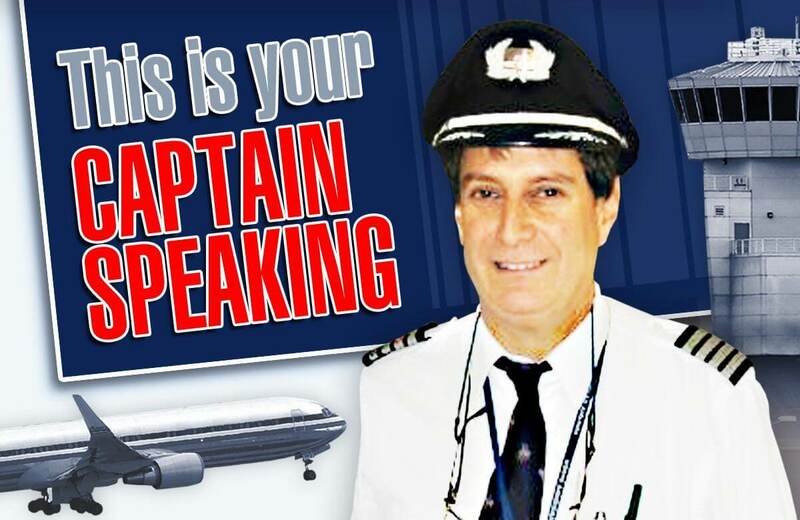 He was an international 757/767 captain for the last 14 years. He has served as an airline ground school instructor and check pilot in both simulators and aircraft and was one of the pilots to fly Barack Obama during his 2008 presidential campaign.